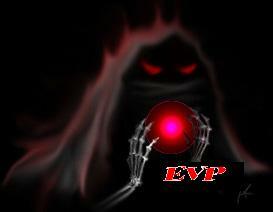 Welcome to our EVP best of the best page. Here you will find various EVP we were lucky enough to capture during investigations of our home as other places we've been. We had to limit what is here to ensure enough room for what we wanted. We have another site that you can click on our "guide" on the home page and visit there as well. That site has tons of room and is a pay site so you can avoid the ads, etc there. More to come. We are rebuilding a little bit of each page and then will come back through and add more here and there.This is so we can get the pages up quicker. In the evp below my son Adam had gone down to our basement to ask a question about scratching he heard on a door down there. There was no one in that room or in the basement other than him when it happened. Listen at the very end and you will hear a man's voice call "Adam". Adam confronts the spirit and let's it know that it is not welcome to be scaring his mom. If it wants to scare someone he tells it to scare him. The response he got was a woman saying, "okay or mkay". It seemed that the spirit in our house liked to wait until I was alone and then start making noises to get my attention. Well this is one of those times I got totally frustrated with the whole thing. Grabbed my digital voice recorder and headed off to tell it I wanted it to leave. The response I got in return was a "no!" Once again I was alone in the house. This was captured in my daughters room. I asked if anyone wanted to say hello. A man's voice can be heard saying, "hello". This was captured at the RR Station during an investigation. Ken was once again making a little noise and when we listened to this evp we were astounded to hear the spirit claiming the noise and not allowing Ken to take credit. You will hear a man's voice saying, "It's me!"